Final opportunity to own a home in Northampton Place!! The Northampton community consists of 12 townhome cottages with private patios and 2 car garages. This last remaining end unit Warwick is 2809 SF with spacious kitchen and living area, 3 bdrms with a loft, 10 foot ceilings on main, hardwoods, stainless appliances, gas range, granite, tile and gas fireplace. With a large spacious master up and second master down this home offers flexibility for the need to have a large bedroom on the main level. Private enclosed patios with secure gate entry. Easy access to Uptown, Dilworth and South Charlotte. 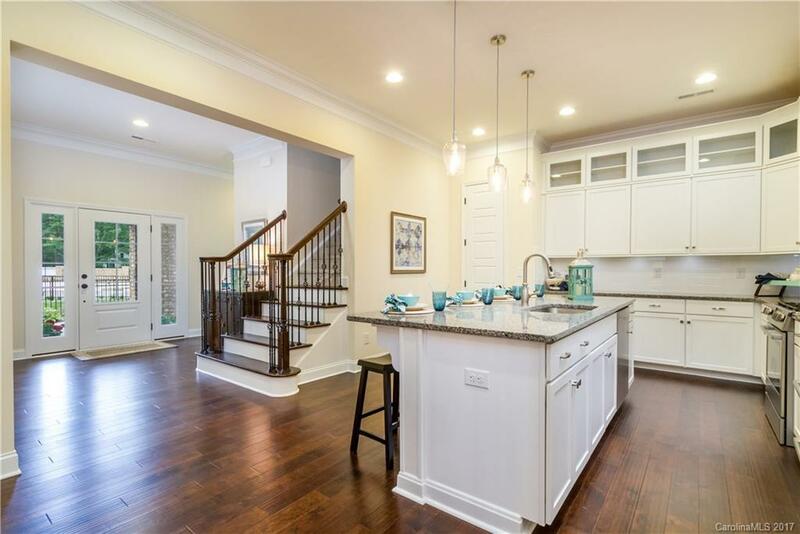 This SouthPark home with its convenient location and attractive pricing is ready to move in...in one of the few new construction 2 story townhome communities in Charlotte.